A beautiful hotel with a spacious reception and room layout. 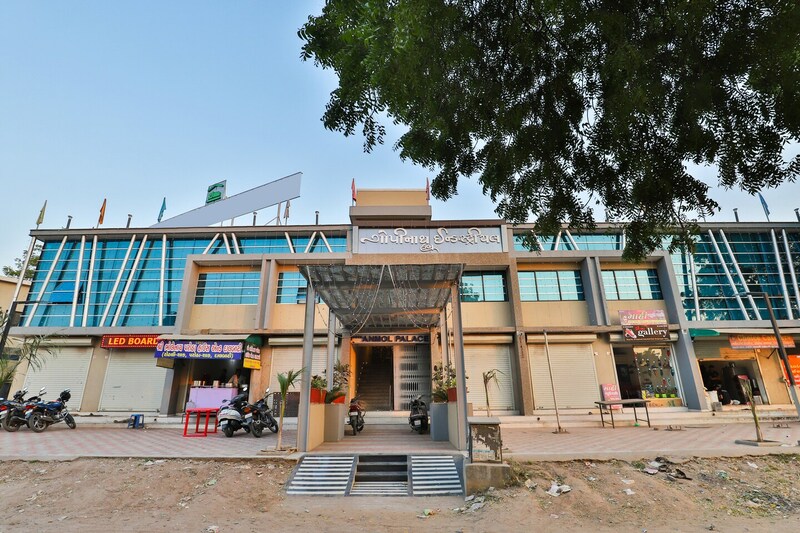 Hotel Anmol Palace is situated on the 1st floor, Ambica Mill Compound, Near Durga Nagar Bus Stop, Vatva, Ahmedabad. Shree Muktajeevan Swamibapa Smruti Mandir and Jethabhai's Stepwell are located at a short distance from the hotel. The hotel features a spacious reception area with a seating area as well. The rooms and washrooms, on the other hand, are well designed and maintained. The various amenities that the hotel offers include CCTV cameras, queen sized bed, card payment facility, free Wi-Fi, kitchen, AC, parking facility, TV, and laundry. Some of the fine restaurants can be reached by taking a quick ride.